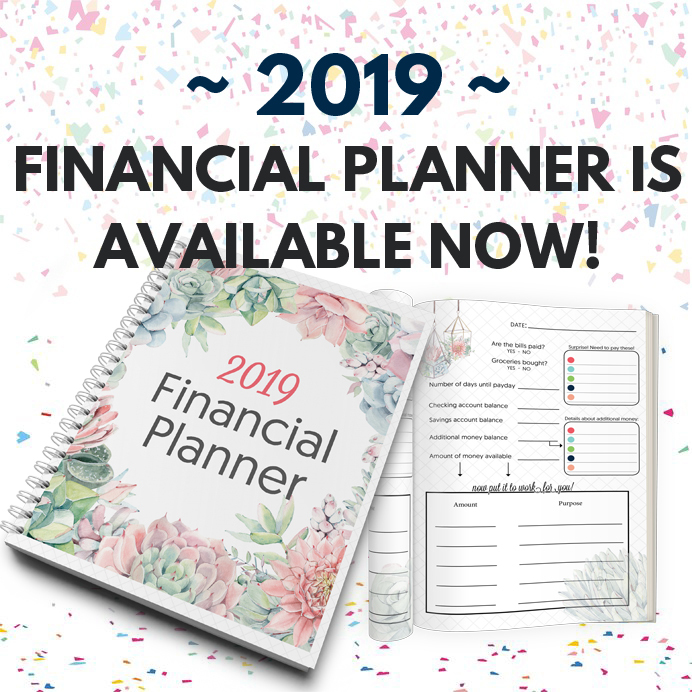 The 2019 Financial Planner is here!! 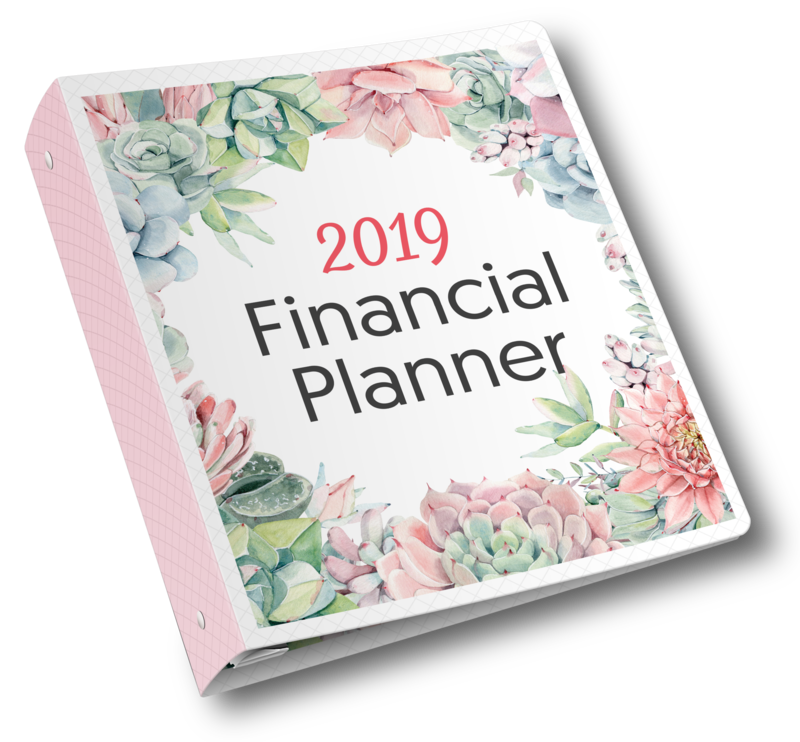 If you are serious about getting a handle on your finances, paying off your debts, and setting yourself up for a lifetime of financial security – then you need the 2019 Financial Planner.Breaking your budget down every single month – tracking your bill payments; so you never miss one again. 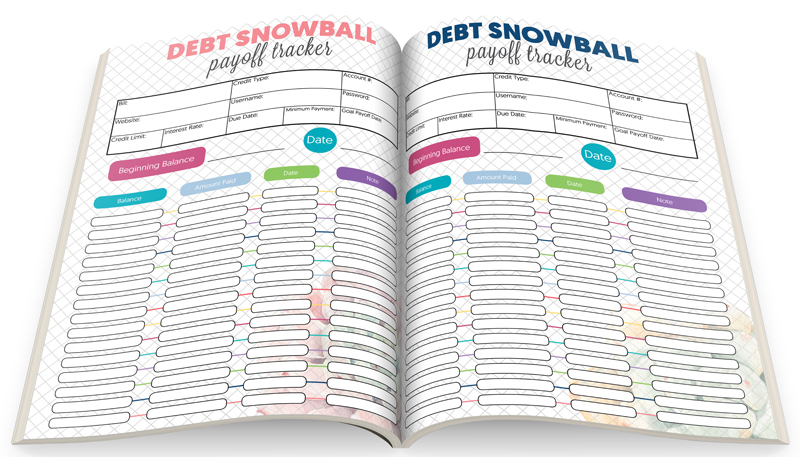 Watching your debts disappear through the debt snowball, and the beautiful motivations sheets will be like a dream come true.With your hard work, and this beautiful planner you CAN achieve your financial dreams! 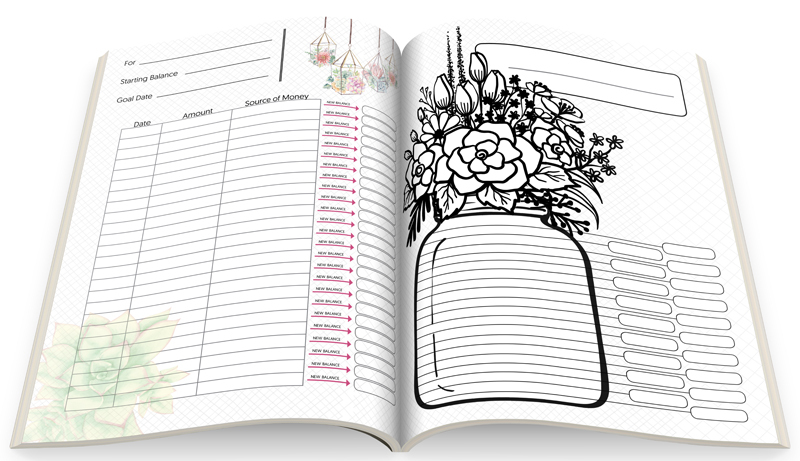 Is this planner right for you? 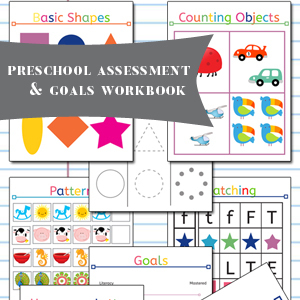 If you can answer yes to any of the questions below, than this is the planner for you! 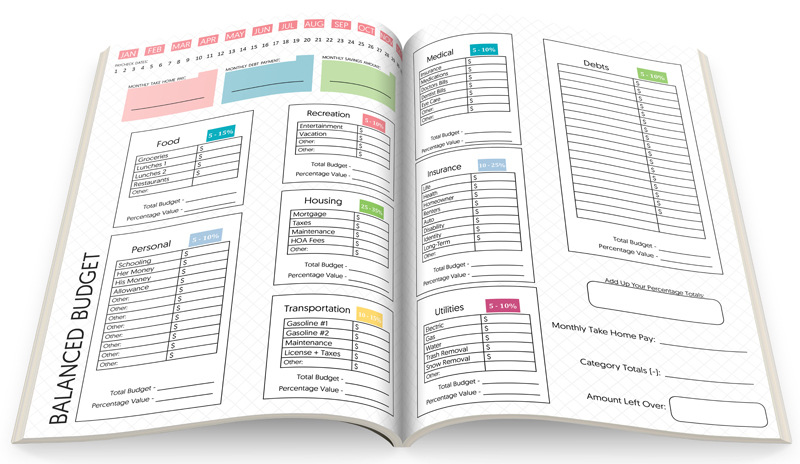 Do you wish your finances were better organized? Have you missed a bill payment with in the past year? Do you lack motivation when it comes to paying off your debts? Do you want to be debt free, and financially secure? Do you find yourself paying bills more than twice a month? It’s not about how much money you make, it’s all about how you manage it! Do you hate going to the mailbox or answering unknown numbers on your phone? For fear of another bill in the box or a debt collector on the other end of the line? Do you wonder how all the bills are going to get paid this month? Or how you’ll manage the Holidays or an unexpected car repair?That used to be me!We were drowning in student loan debt — one small child and another on the way. The fear of the unknown was paralyzing. I felt lost – scared – and uncertain about the future of our growing family. 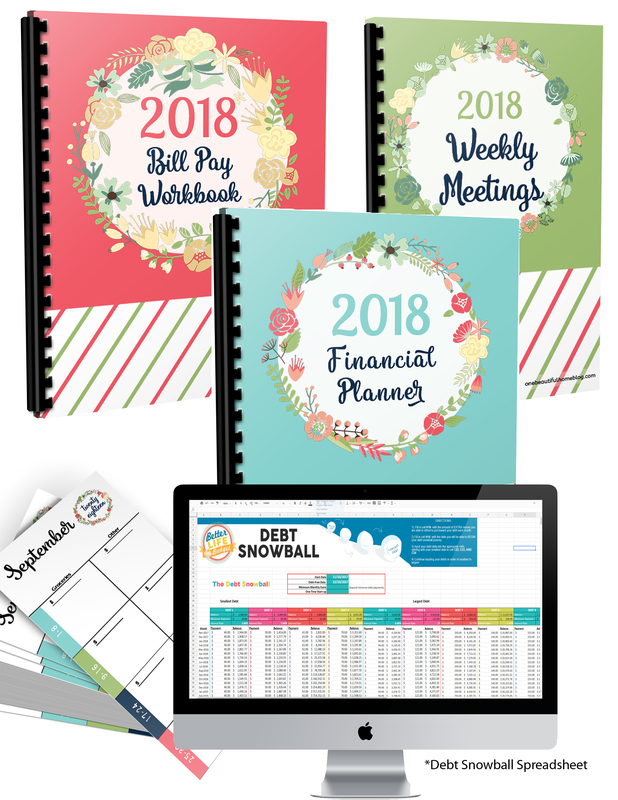 I set out to find a solution…I wanted to find a resource that could help me make sense of our financial chaos, a tool that could help me organize our bills, while also helping me pay off our debts at a fast rate while keeping us motivated and feeling inspired.Also, I needed a quick guide for weekly financial meetings between my husband and myself. But I couldn’t find it. So I decided to create it (and so much more) instead! 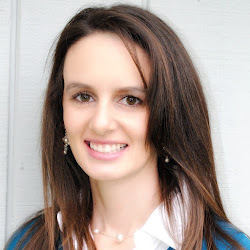 Hi There, I’m LindsayBecause I know what it is like to be stressed out over money, and for life to feel uncertain, My ultimate goal is to help you get your finances in order. 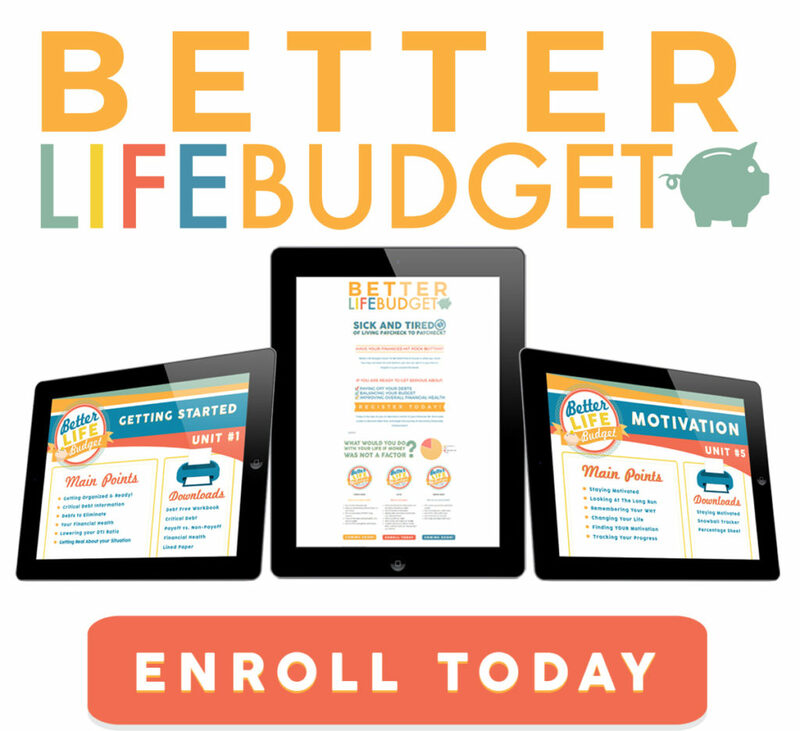 I want to offer you the tools and resources that helped transform our financial outlook!. 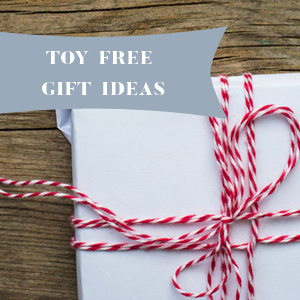 You know when your kids birthdays are – you know when Christmas is, Right at the start of 2019 write down your expense heavy months, and plan for them all year long! New this year! MONTHLY budgeting. Life cycles throughout the year, and the money you spend in December is different than May. Every month gets a new fresh budget! 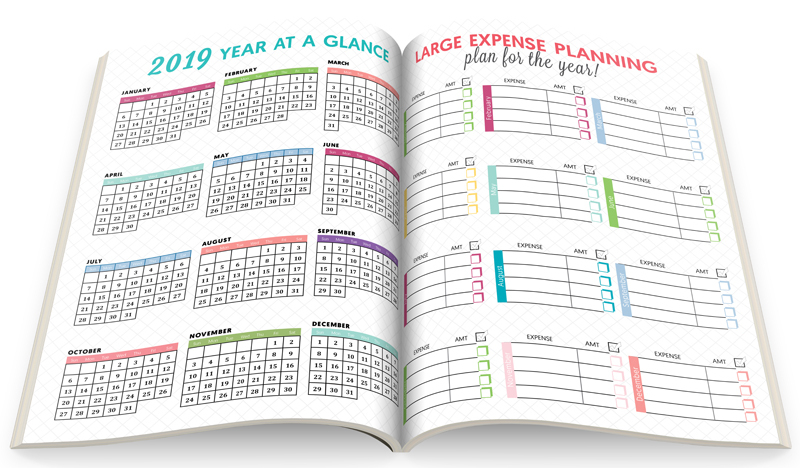 At a glance, you can see your financial outlook for the whole year. 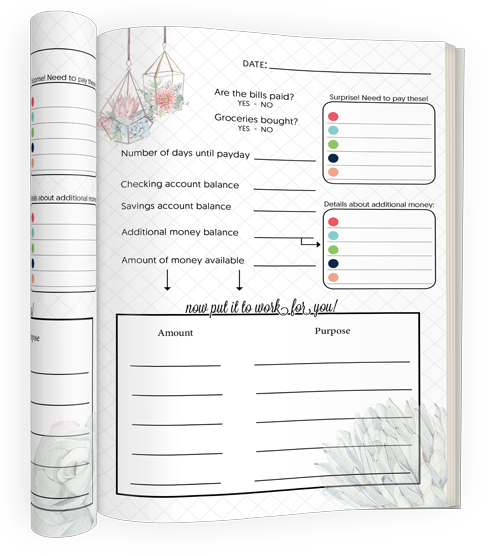 Fill it in at the end of the month and watch your debt shrink, your savings grow, and your stress melts away. 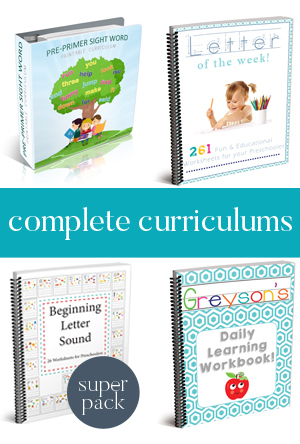 Learn our paycheck scheduling system. The one that genuinely transformed us! To go along with paycheck scheduling is the bill pay system. Never miss a payment again – never lose track of what you paid – how much – and when! This system makes it easy. 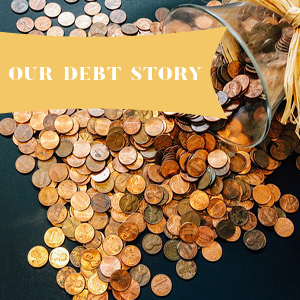 Know exactly where you stand with your debts from your current balance, to estimated payoff dates. Then use the debt snowball pages to PAY THOSE DEBTS OFF!! I love the new debt payoff coloring pages this year. They are beautiful and help to keep you on track and motivated to pay off those debts. Whether you are a small shovel or large shovel – you can do this! BONUS! 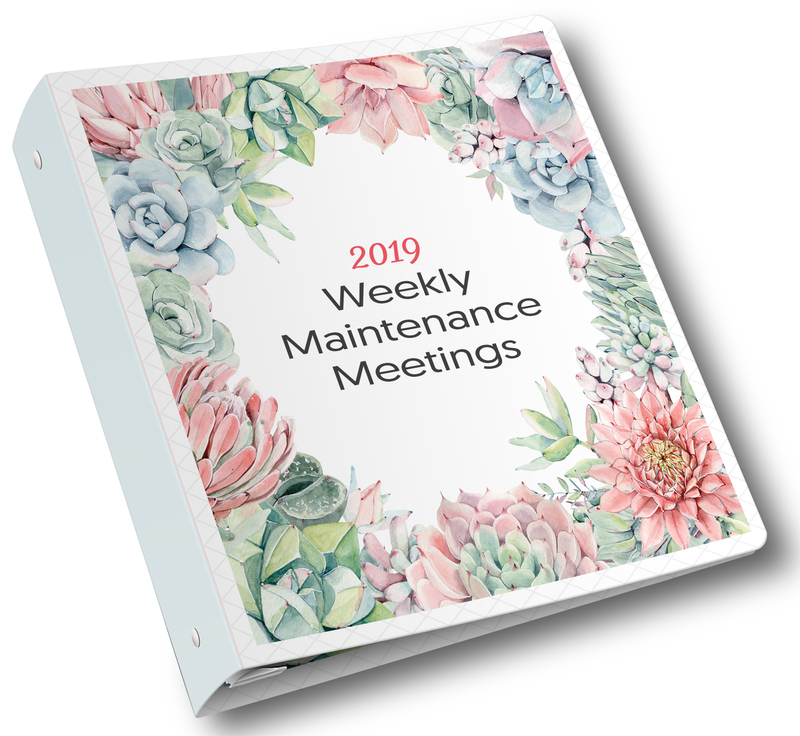 you’ll also receive the 2019 Weekly Maintenance Meetings Workbook! 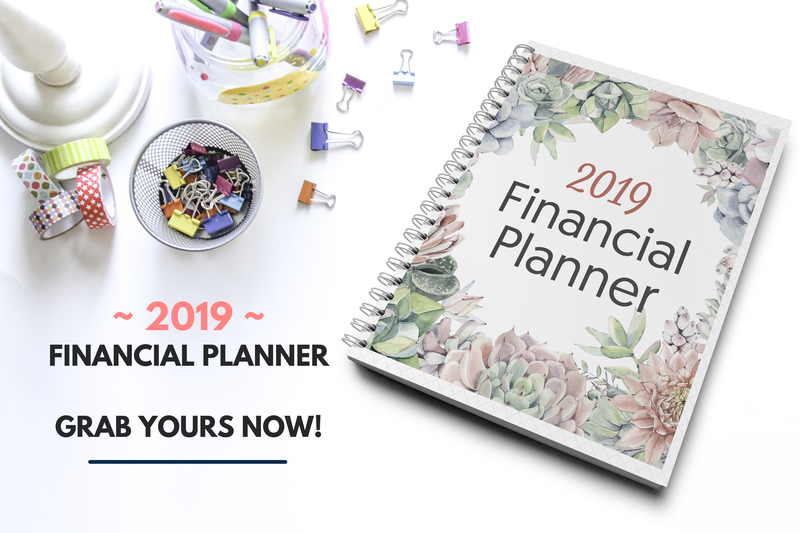 Stop waiting, and get yours 2019 Financial Planners – TODAY!